Luck is a double-edged sword for brooding war hero Rhys St. Maur. His death wish went unanswered on the battlefield, while fate allowed the murder of his good friend in the elite gentlemen's society known as the Stud Club. Out of options, Rhys returns to his ancestral home on the moors of Devonshire, expecting anything but a chance at redemption in the arms of a beautiful innkeeper who dares him to take on the demons of his past--and the sweet temptation of a woman's love. Meredith Maddox believes in hard work, not fate, and romance isn't part of her plan. 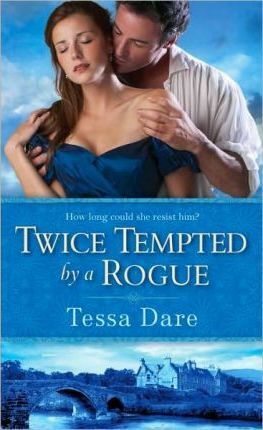 But when Rhys returns, battle-scarred, world-weary, and more dangerously attractive than ever, the lovely widow is torn between determination and desire. As a deep mystery and dangerous smugglers threaten much more than their passionate reckoning, Meredith discovers that she must trust everything to a wager her heart placed long ago.